WASHINGTON, DC, August 19, 2013 (ENS) – Solar panels are being installed on the roof of the White House this week, three years after the Obama Administration first announced its intention to do so. A White House official confirmed to the “Washington Post” on Thursday that installation of the solar panels has begun, “to improve overall energy efficiency” of the famous building. 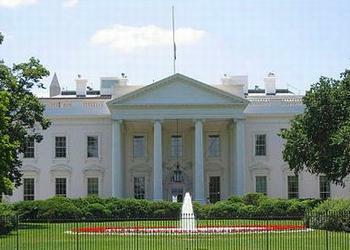 Constructed between 1792 and 1800, The White House is the official residence of the President of the United States. This is not the first time the White House has gone solar. President Jimmy Carter installed 32 solar panels on the roof in 1979, but they were taken down by President Ronald Reagan in 1986 during roof repairs. Bill McKibben, environmentalist, author and founder of the climate advocacy organization 350.org, applauded the Obama Administration’s move to re-solarize the First Family’s residence. When President Carter installed solar panels on the White House, he called the action a bold step in the development of cheap, renewable energy. But subsequent administrations turned away from renewable energy and in September 2010, members of 350.org found one of the original Carter era-panels at Unity College, an environmental college in Maine, where it had been heating water for the cafeteria. Later that year, McKibben and a group of Unity students returned the historic panel to the White House and requested that President Obama reinstall it on the roof or commission a new set of panels. Over 50,000 people signed onto a Globama petition led by the solar company Sungevity and other solar companies, calling on the President to go solar. The White House at first declined their request, but a month later then Energy Secretary Stephen Chu announced that the White House would put up a new set of panels by summer 2011. That deadline slipped away, but now solar panels are being installed. The full story of Carter’s solar panels and story of Unity College rescuing these pieces of history was told in a 2010 documentary film by Swiss filmmakers Christina Hemauer and Roman Keller. Entitled “A Road Not Taken,” the Hemauer and Keller documentary has been screened at the Maine International Film Festival, among other film festivals both in the United States and Europe. Then in 2003 President George W. Bush installed solar panels on a maintenance building and solar thermal units to heat the White House swimming pool. The new solar equipment is made in the United States, but the White House has not disclosed any other details of the project, including the cost, the name of the manufacturer, how much energy the system will produce or when it will begin operating. “Solar now employs nearly 120,000 Americans at more than 5,600 companies, most of which are small businesses spread across the United States, making solar one of the fastest growing industries in America. Part of this amazing growth is attributed to the fact that the average cost of a solar system has dropped by nearly 40 percent over the past two years,” he said. Resch said that in the first quarter of 2013 nearly half of all new generating capacity added to the grid was solar, and he expects more than 5,300 MW of new solar electric capacity will come online this year. “We applaud the President for making solar a shining symbol at the White House for clean, renewable energy,” said Resch. “We look forward to working with the Administration and Congress on even more ways to expand the use of solar throughout the federal government.